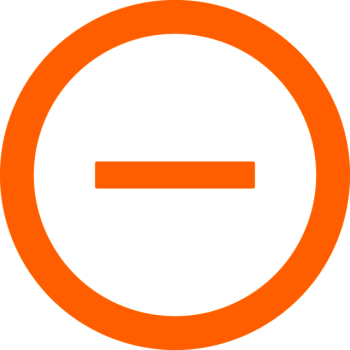 Last update: January 16, 2018 Racing thoughts are a terrible problem when it comes to living a high-quality lifestyle that’s free from stress and worry. To eliminate ADHD racing thoughts from your life, it’s best to find out which solutions actually work for your brain and body as quickly as possible. So, let’s get straight to the root cause of your racing thoughts, and figure out how to give you peace and mental clarity at last. 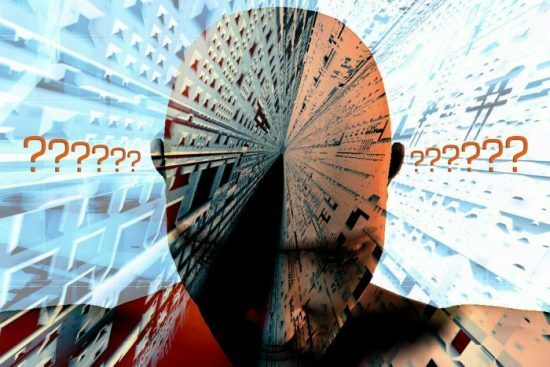 What’s the cause of racing thoughts in people with ADHD? People with ADHD typically experience racing thoughts because of of anxiety. When you have racing thoughts, you’re actually worrying about a future event that hasn’t yet occurred. To put it simply, racing thoughts are almost always caused by allowing your imagination to spiral out of control. Of course, people who are naturally prone to anxiety and/or ADHD tend to have a much harder time controlling racing thoughts. So, there’s no reason to feel personally responsible for having racing thoughts. It’s a problem that’s much more common than most people think. Do ADHD medications and natural drugs (like caffeine) make racing thoughts better or worse? While I’m not qualified to give medical advice, I can say from personal experience – certain ADHD medications and even natural drugs like caffeine can absolutely improve or worsen your racing thoughts. I’ve struggled with ADHD for many years, tried most ADHD medications, and experienced my fair share of terrible racing thoughts and amazing mental clarity at different stages of my life. Luckily, I now fall into the latter category. Generally speaking, when it comes to my own brain and body, I know that I respond well to high-quality ADHD medications like Vyvanse. However, as soon as I drink too much coffee after taking Vyvanse, that’s when my racing thoughts (anxiety) goes through the roof. Your results could be entirely different from my own. 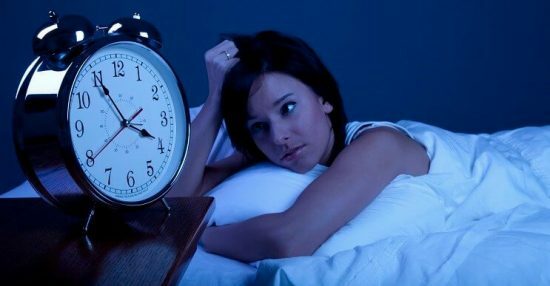 There are so many different factors that can influence what causes your racing thoughts. 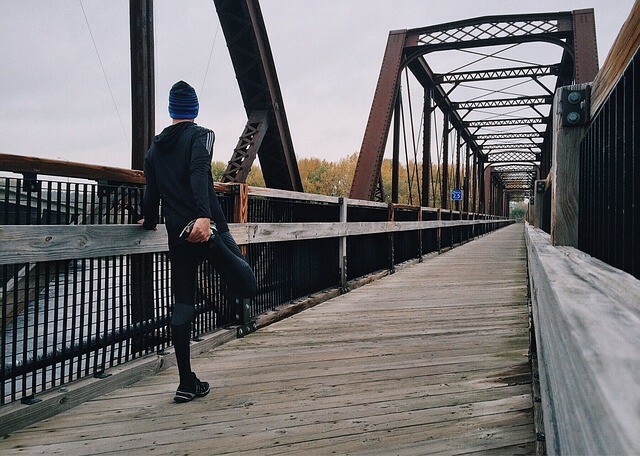 The most important thing to keep in mind is that eliminating your racing thoughts is a process of trying new things, keeping track of the changes that you make, and sticking with whatever works best for your brain, body and lifestyle. To figure out which ADHD solutions work best to eliminate your racing thoughts, you have to pay close attention to the thoughts, moods and emotions that you experience each day. 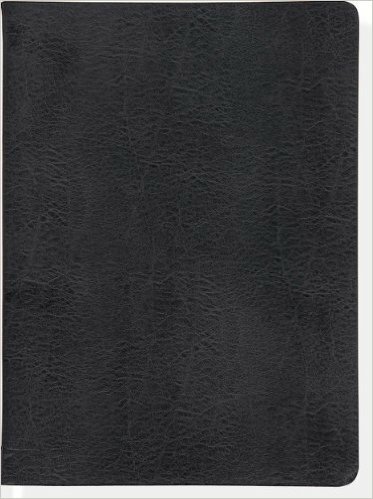 I highly recommend keeping a high-quality journal (Amazon) so that you can write down exactly how you feel on any given day that you experience racing thoughts. This is exactly like keeping a log of your progress. Once you have all of this information written down for the day, it’s a good idea to write a paragraph or two about how you felt during the day as well. Make sure to write down daily logs similar to this for as long as you need to. The goal is to keep adjusting and tweaking your lifestyle until you eliminate racing thoughts from your life. By adjusting your diet, lifestyle and daily habits, and keeping track of exactly how you feel afterwards, you’ll know exactly what’s working and what isn’t when it comes to quieting your mind. I don’t make recommendations unless they actually work. In fact, I post my personal habits on this website so that I can genuinely help other people who may be suffering from a hyperactive ADHD mind. I’ve said it before, and I’ll say it again. Racing thoughts are a terrible problem to have. You have to do whatever it takes to get rid of racing thoughts in order to live a fulfilling life. 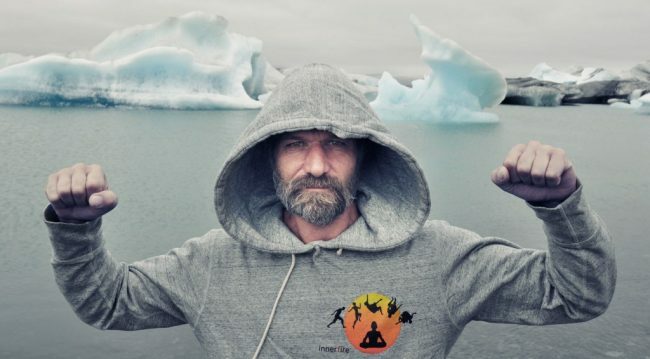 I’m a huge fan of Wim Hof, who is one of the world’s leading experts on the connection between how you breathe and how you think. He holds multiple world records, and works with professional athletes, so he’s the real deal (not just some random guru). You should practice Wim Hof style breathing if you can. You can learn most of his breathing exercises entirely free of charge on YouTube. Alternatively, you can take his full breathing course if you’d prefer to learn his methods in an online classroom type of setting. Most importantly, learning how to breathe properly will probably have the biggest impact on your life out of all of the strategies listed in this article. 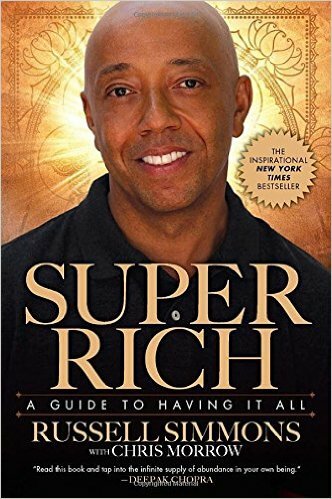 Transcendental Meditation (TM) is a practice that I discovered through a book called Super Rich (Amazon) , written by none other than Russel Simmons. It’s a very humbling book that can help people develop their spiritual side. One of the key points that the book makes is the importance of practicing Transcendental Meditation. While the book explains how to practice TM in a clear and easy-to-understand way, I’ll just note that TM is like an ADHD-friendly form of meditation. TM doesn’t require you to ’empty your mind’. It doesn’t require you to do the impossible. It only asks that you sit down and focus on your breathing for a few minutes each day. Practicing TM is immensely important for creating a general sense of well-being in your life. 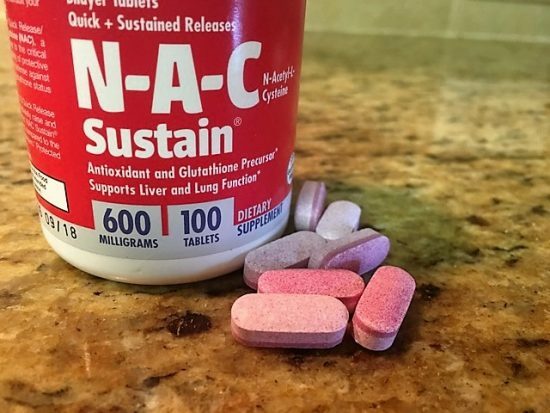 NAC Sustain (Amazon) is a powerful over-the-counter supplement that detoxifies the liver. There’s an amazing connection between your liver and mental clarity that’s still being researched by the scientific community. It’s thought that NAC has the potential to fight serious mental conditions like anxiety, schizophrenia, OCD and more. Some refer to NAC as ‘meditation in pill form’ because it almost instantly quiets your mind, and helps you go about your day much more peacefully. However, you shouldn’t use NAC if you already take medication for ADHD, as complications can arise. In fact, you should check with your doctor before using NAC regardless. I personally take NAC a few times a month just to detoxify my liver. But, I make sure that I take NAC on days that I don’t use Vyvanse. Be smart about using NAC, and it can benefit your life tremendously. 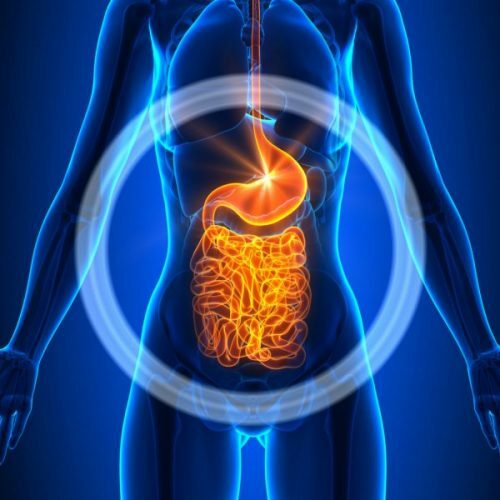 Like your liver, your gut has a special relationship with your brain that often goes unnoticed. Your gut is actually referred to as your ‘second brain’ because it can be one of your most reliable assets when it comes to thinking clearly. Have you ever been in a situation where you just knew something bad was going to happen? Maybe you felt a tingling sensation in your gut, and you knew that you had to escape? That’s your gut at work. Your gut regulates your thoughts, emotions, and even the actions that you take. Your gut plays a massive role in your day-to-day life. It’s for this reason that you have to take excellent care of your gut. I try to drink Kefir or eat Bulgarian Yogurt to take care of my gut. That’s the least expensive way to do it. If you prefer convenience, I recommend taking a daily probiotic supplement. Rainbow Light ProbioActive (Amazon) is an effective and relatively inexpensive probiotic supplement from a brand that I trust. Running is nature’s #1 ADHD medication. To keep a clear head, you have to do cardio every day. Yes, every single day. I’m not saying that you have to run miles every day. But, just doing 20 minutes of cardio each day will change your life. Add in some push-ups, bodyweight squats, and pull-ups whenever you can, and you’ll be thinking much more clearly in no time. This is the baseline ‘stack’ that I use to keep my ADHD and racing thoughts in check. 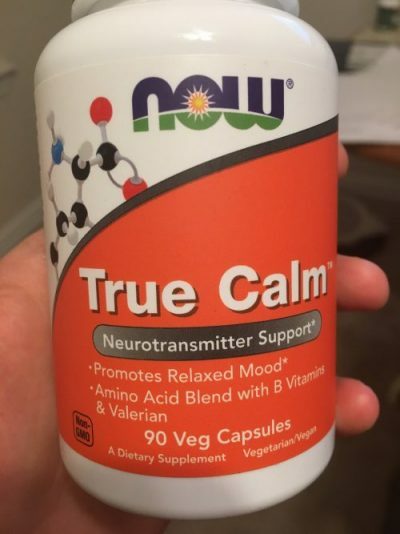 Sometimes, I’ll use additional supplements like True Calm (Amazon) if I feel like my anxiety is extra-aggressive. True Calm contains GABA, which can definitely help to take the edge off after a long day of work, family time, errands etc. But, if you commit to using a well-rounded stack of supplements, and you actually take your stack consistently, this should greatly reduce your racing thoughts. A concept that I learned while reading the book Antifragile (Amazon) , which is quite possibly the most important thing I’ve read, has to do with the process of elimination. Nassim Taleb, the author of the book, mentions something in the book that has stuck with me ever since I read it. He says something along the lines of how the process of removing things from your life is usually better than adding new things into your life. So, to get rid of racing thoughts, you’ll be far better off eliminating or reducing harmful things from your life, rather than adding new things to your life (at first). Start by lowering your dosage of ADHD medication (not necessarily stopping your medication), lowering your intake of caffeine, and reducing the amount of bad food that you eat. Then, from that point onward, you can start adding things back into your life which benefit your health and mental well-being. By this point, I know that your mind is probably spinning. You might even think that this all sounds like a lot of work, just to achieve peace and mental clarity. The truth is that there is some work involved in achieving a clear mind that’s free from racing thoughts. But, what other choice do you have? You have some amazing resources available that can help you along your path to mental clarity. All of the the right books, supplements, practices and habits are laid out on this website for you. It’s just up to you to take advantage of them. Plus, if you have any questions, I’m always here to help. Please leave your comments and questions below, and I’ll be in touch. Fantastic collection of information. Many tips I’ll try. Thank you. Thank you for the comment Carole. I wish you luck eliminating those racing thoughts. I so appreciate your presenting a sound and unbiased arsenal of options. The barrage of random thoughts too often slows down my otherwise good momentum and distracts when moving from one task to another. I’ll be acting on a few of the suggestions starting this weekend. You’re very welcome Carole. I’m happy to hear that you’ll be using the tips. Random thoughts can definitely stall your momentum. But luckily, you have the power to take control of your thoughts through deep breathing, meditation, exercise etc. Let me know how your progress goes. It happens to more people than you think Kelly. I wish you the best of luck. My racing mind is in the way of progress and success… I finally realized it. Loneliness and life/age changes have led me here… though, like things such as hearing loss – my racing mind has crept in slowly but incidiously! It has taken a lot of feelings of anxiety, and “no longer feeling like myself” to understand that my inward racing thoughts are causing fatigue and disassociation. And so — I came searching… and I found you… your advice leads to, confirms, and reinforces a path I’m learning to follow – especially, “the gut” and GABA & MACA & True Calm…. I am next to work in TM breathing… THANK YOU! for your lay-mans terminology and simple instructions. I like how it feels like we are in dialog… and your advice is given from experience (not just a sales pitch) to someone (me) suffering… and seeking understanding and relief…. I’m happy to hear that you’ve found the root cause of your racing thoughts to be from fatigue and dissociation. Since you’ve found the root cause of your issues, this means you can start making massive progress in your life. You’re very welcome for the information. I think you’re going to be in for a real treat once you start working with TM breathing. It’s a genuinely life-changing practice. I wish you the best of luck going forward Susan. It wasn’t until this last year that we realized that I’ve been wrestling with ADHD my whole adult life (and as a child). Exercise has been a big help for me over the years and now I know why. Thank you for the article and helping guide us out of the “Busy Brain” labyrinth. P.s. What drives me craziest is when my racing and worried brain convinces it’s self that if it’s not racing it will lead to me making big stress causing mistakes, even though it’s not true. But don’t worry, my busy brain will work overtime to convince me of things that aren’t true. Thanks for your awesome comment David. I totally agree that exercise is a massive help when you have ADHD. You’re very welcome for the article. And yes, it’s a good sign that you’re aware of how the human brain can easily play tricks on you. It sounds like you’re doing a great job of staying conscious of your racing thoughts, and taking action to solve your problems. I love the range of suggestions made in this article for ways to address issues with ADHD. I’ve recently been reading and studying a lot about the gut-brain connection and nutrition and was really excited to see it mentioned! I think that, now that this area of health and nutrition is becoming much more commonly known to the general public, we’ll be seeing a lot of interesting new methods of dealing with mental issues such as ADHD and anxiety, etc., that didn’t involve just popping a pill that has nasty side effects. Thanks for writing this, I intend to implement some of your suggestions in my own life. Thank you for your comment Vanessa. Yes, the gut-brain connection is really fascinating, and very real. I definitely agree that we’re going to see many more solutions coming into play, which is a really good thing. Really happy to hear that you’ll be implementing some of these solutions. Thanks so much for this information.I started suffering with negative thoughts and anxiety last year.I have not responded well to medication and I’m now taking a magnesium supplement everyday and the negative thoughts are improving.I will definitely incorporate some of your tips into my daily routine. I’m happy to hear this Rajaay. Thank you so much. As a 46-year-old man that found out that I am ADD at age 45, this site is an extra added benefit from all the research, and clinical help, I have been getting. Thank you for the time you have put into this, you are helping millions. Thank you so much for the kind words Gary. I genuinely appreciate it.